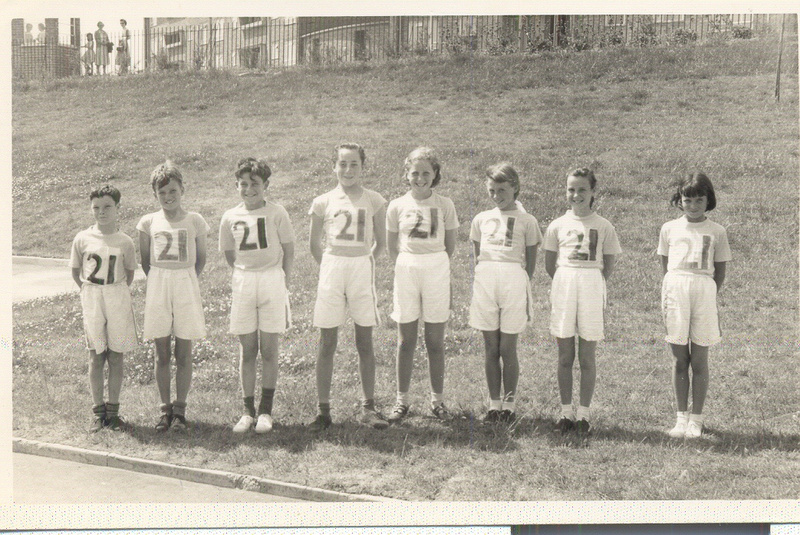 You are here: HomenextPlacesnextSchoolsnextSt Joseph's SchoolnextAthletic team 1957? This is the team outside the front of the school. I think it must be 1957 when I was 10 years old. I’m second on right, Elizabeth Matthews. I ran 100yard hurdles. I cannot remember how I did, probably did not win or might have remembered that! On my left is Susan Witek, one of the two on my right is Ursula ?. The boy third from left is Julian Taylor, can’t recall any other names. We had the athletics tournament against other Brighton schools at Withdean stadium. If you recognise yourself or anyone else, please leave a comment below. Recognise anyone here from the 1960s?